A B.D.F. soldier was before the court today on a charge of wounding, but his common-law wife later requested no further court action against him. 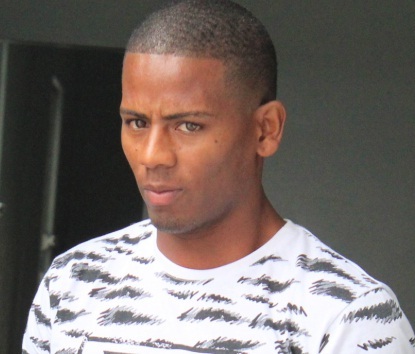 But twenty-six-year-old soldier, Leroy Clare will appear before the Belize Family Court within the next five days where his common-law wife has asked for a restraining order. This morning, the resident of Carmelita Village, appeared unrepresented before Senior Magistrate Tricia Pitts- Anderson. Allegations are that on April tenth, 2019, he intentionally and unlawfully wounded his common-law wife, Monique Bonilla. But as soon as the charge was read to him, Bonilla took the stand and requested no court action. The charge was withdrawn against Clare and he was free to go. On Thursday, a similar domestic case occurred before court number six in which another B.D.F. soldier was charged with wounding and threatening words against his girlfriend, a woman police corporal. It is alleged that the B.D.F. wounded and threatened to kill her. The charges were withdrawn when she requested no further action.